New laws could provide the Food and Drug Administration (FDA) with better tools to respond to bad personal care products. The proposed Personal Care Products Safety Act (PCPSA), introduced by Democratic Senator Dianne Feinstein of California and Republican Senator Susan Collins of Maine, would give the FDA the power to recall harmful products, conduct yearly safety reviews, and make it mandatory for manufacturers to report complaints. According to the senators, federal safety rules for this category have not been updated since 1938. Many Americans would be surprised to learn that if there was a problem with a harmful personal care product sold in the United States, they would probably never hear about it. That’s because the U.S. has no solid system in place to regulate items like cosmetics, lotions, and hair care products. Under current law, the cosmetics industry is largely self-regulated and the FDA only looks into these products when people voluntarily report problems. A recent case is a perfect example of the problem with that approach. In 2014, the FDA opened an investigation into a shampoo/conditioner called WEN, manufactured by Chaz Dean Cleansing Solutions. The agency had received 127 customer reports of issues with the product, including hair loss, brittle hair, bald patches, itching, and rashes. During the course of the investigation, the FDA discovered that the company had privately received 21,000 complaints about WEN regarding hair loss and scalp irritation. The FDA didn’t know there was a problem with the product until consumers began to complain directly to the agency. That is because cosmetics manufacturers are not required to inform the FDA of health-related complaints. 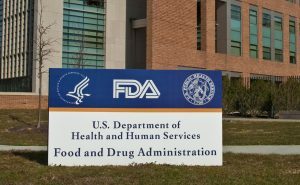 In December 2016, the FDA decided to make its database of adverse event complaints publicly available for the first time. The database compiles consumer complaints related to foods, dietary supplements and cosmetics and is maintained by the FDA’s Center for Food Safety and Applied Nutrition. The FDA reports that complaints more than doubled between 2015 and 2016, rising from 706 to 1,591 events. Hair care products received the most complaints in the database, followed by skin care products. Most health issues involved rashes, hair loss and other dermatological problems. The types of products that were most likely to be associated with serious health problems were baby products, personal cleanliness products, hair care, and hair coloring products. However, the FDA cannot currently order a mandatory recall of a harmful cosmetic.